Summerlyn is a new development within the Carolina Forest subdivision, located between Waterbridge and The Farm. It was originally developed in 2015, with homes being built up to 2018. This beautiful community features manicured streets with lighted sidewalks and underground utilities. Homes are single and two stories with several lakes to offer water views. It is an all natural gas community with Energy Star appliances, hardwood flooring, chef's kitchens, and many other upgrades available. A very nice pool, clubhouse, and children's park round out the amenities and make Summerlyn one of the most desirable yet affordable neighborhoods in Carolina Forest. There are three and four-bedroom homes available that range from the mid $200's to about $300,000. 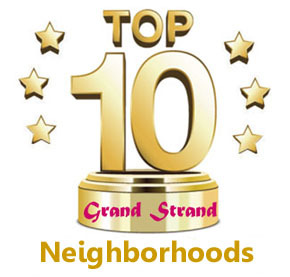 Carolina Forest is one of the most preferred communities in the Grand Strand now, with all the retail stores, restaurants, medical, and business offices that a town would offer. Residents hardly need to leave unless they want even more shopping and dining options. Children living in Summerlyn will attend some of the most coveted schools in the Grand Strand - award-winning Ocean Bay Elementary and Middle Schools, and Carolina Forest High School. As one of the newest communities in Carolina Forest, Summerlyn homes offer everything you could ask for and an affordable price as well. Call us to tour this beautiful neighborhood of homes.